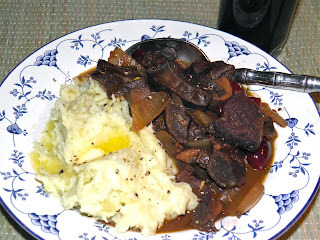 Devoid Of Culture And Indifferent To The Arts: Recipe: Is there a least awful offal? Try Beef Heart Stew! Recipe: Is there a least awful offal? Try Beef Heart Stew! Underused cuts of meat can be prepared in many excellent ways. Since I’m on a health kick lately I been looking for high nutrient foods. 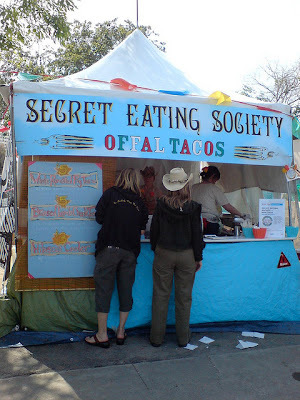 I was instantly directed in my search to offal. I’m going out on a limb here by assuming that many of my readers do not consume offal on a regular basis. Or do you? 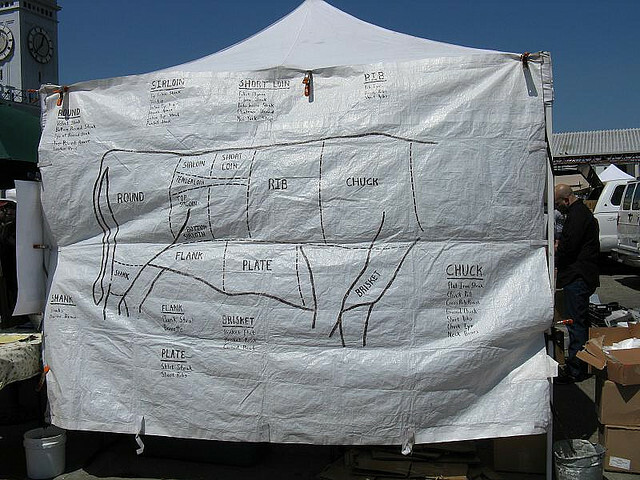 Most of us only eat the outside of the animals we butcher. In some parts of Europe, scrotum, brain, chitterlings (pig's small intestine), trotters (feet), heart, head (of pigs, calves, sheep and lamb), kidney, liver, "lights" (lung), sweetbreads (thymus or pancreas), fries (testicles), tongue, snout (nose), tripe (reticulum) and maws (stomach) from various mammals are common menu items. Ok, so if we check the list, all of us have had liver, wether we liked it or not, and many of us have had kidneys as well. If you have tasted those you start to understand that these types of meats are slightly stronger in flavour than the usual "muscle" cuts. But there is absolutely nothing wrong with consuming them. I personally ate liver, heart and tongue when I was growing up. We didn’t always have a lot of money and these cheaper cuts allowed my parents to stretch the money they had. They’re also good for your health. My mother and father used to boil heart and serve it sliced. I like it, but it’s a bit of an acquired taste that way (like any boiled meat its colour is grey...). This stew is a delicious way to serve heart. Tons of fluffy mashed potatoes soak up a gravy of red wine, mushrooms, olives and spices. It’s a deep flavour that pairs very nicely with a rainy day (again) and a glass of wine. Stop going ewwww. If this was a steak you'd be drooling. Heart has high concentrations of CoQ10, vitamin Bs and folic acid which are building blocks for cell nutrition. Beef heart contains selenium, phosphorus & zinc, and amino acids that help burn fat, store energy and boost stamina and endurance. CoQ10 is highly protective against cancer. CoQ10 is present in every cell in the body and essential for cell production. 40% of our daily requirement of CoQ10 is in a single serving of heart. heart has nearly no internal fat. So if you have any room in YOUR heart for your family, perhaps you should start to cook more awfully…I mean “offal”ly. It’s about time we all started to eat more “nose to tail.” If we are going to use animals as food we should respect them enough to use all we take. Nose to tail isn’t a new idea by any stretch of the imagination. It’s a process we have forgotten in our wasteful modern lifestyle. Our forefathers would be ashamed to see the amount we waste. By the way, the meat for this meal for four only costs about $4 CAN. Food for thought? Mashed potatoes with cracked black pepper and butter for four large servings. 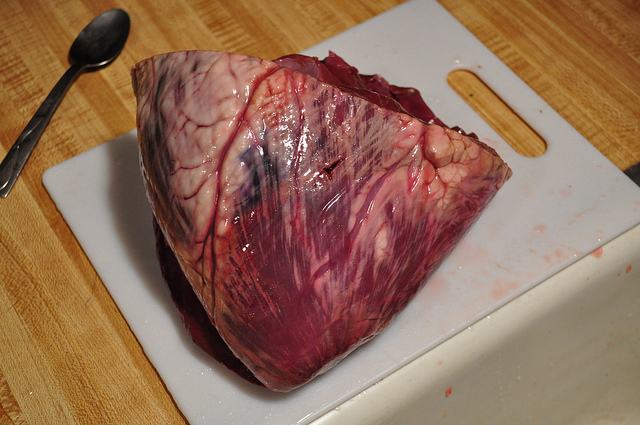 Prepare the beef heart by removing any visible fat and sinew. Chop into 1” pieces. Heat the olive oil in a large sauté pan. Brown the beef on all sides. It will not be cooked through. Remove to a bowl. Add the onions to the pan and cook until they start to soften. Then add the garlic and fry for a few minutes. Pour the red wine into the pan scraping to remove any bits stuck to the bottom. Add the mushrooms, tomatoes and beef, with any collected juices, into the pan. Stir in the sage and thyme. Season with salt and pepper. Cover and allow to simmer for 1/2 hour. Then add in the olives and let cook for a further 30 minutes. Taste and adjust seasonings. Serve either on top of, or beside, lots of hot mashed potatoes.